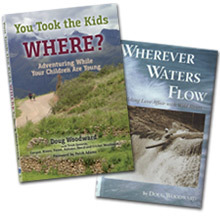 Some may say water — ice cold river water — flows through Doug Woodward’s veins. Over much of the last half century, Woodward, Class of ’60, has plied river rapids that would curdle the blood of the faint of heart. 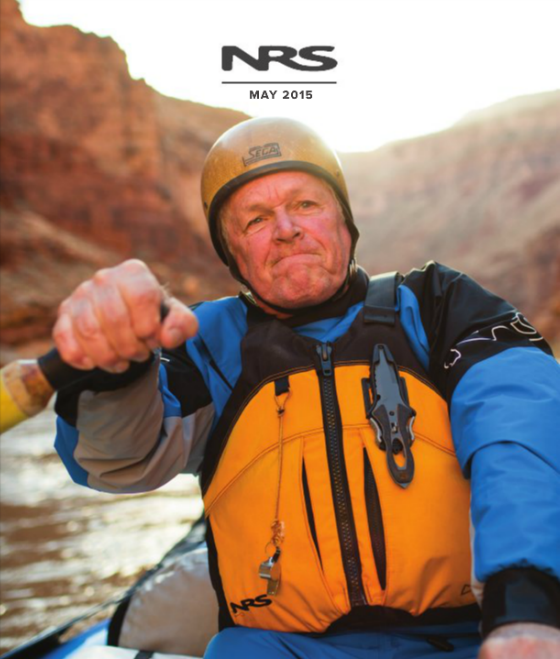 He is credited with a number of what kayakers call “first descents” — successfully shooting a waterfall or raging range of current no one before had been gutsy enough to attempt. 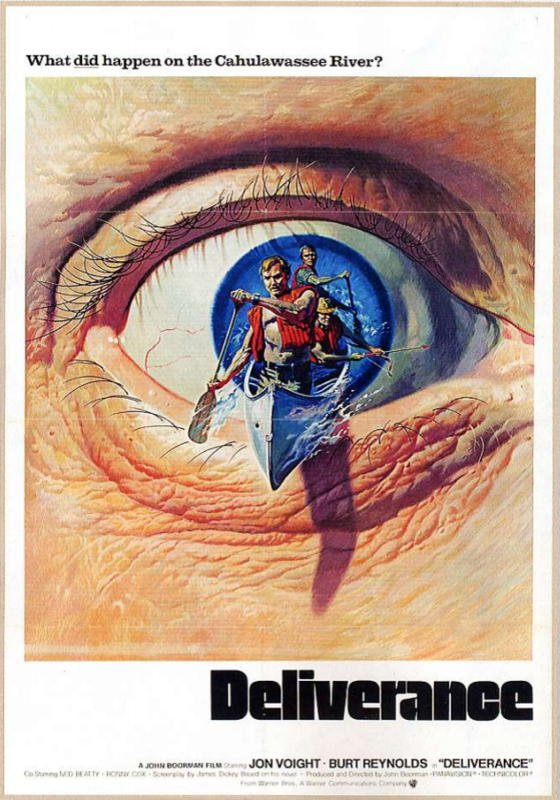 His reputation landed him on the set of “Deliverance” as a canoe stuntman and technical adviser. But that experience was relatively tame when compared to a lifetime of wild adventures that found him battered against rocks and sucked under water — in other words, up a river without a paddle. 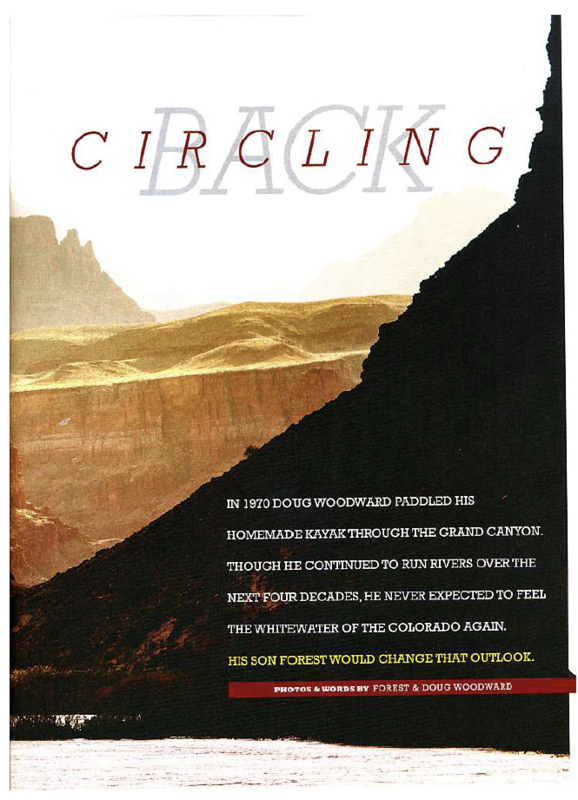 Woodward has lived to tell the tales in his book, Wherever Waters Flow. Woodward, who now soaks up nature’s splendor at his mountain home in Franklin, N.C., said he was propelled to write the book by his children, all “expert paddlers in their own right,” and he dedicated his memoir to Cricket, 43; David, 41; Autumn, 22; Forest, 20; Rivers, 17; and Canyon, 13. In person, Woodward is soft-spoken, almost reluctant to trumpet his achievements aloud. Read the book, he urged. 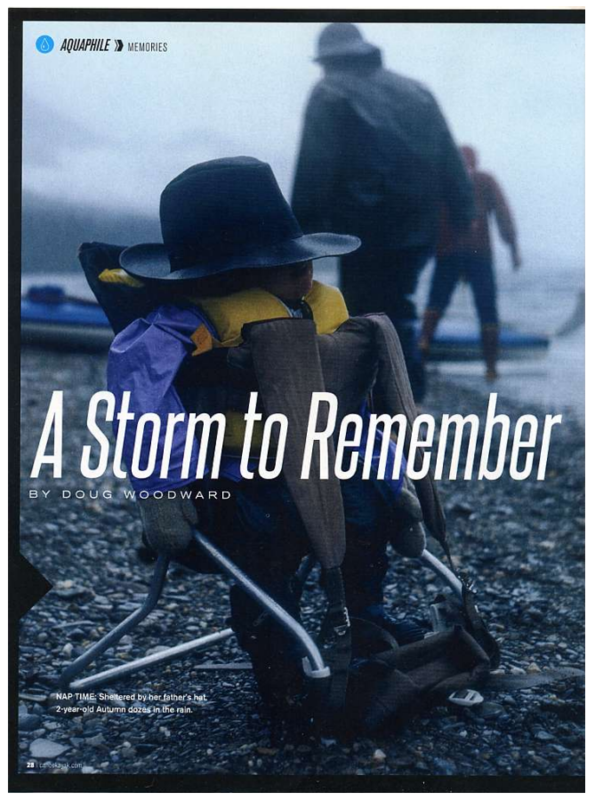 “It starts off with one of our Alaska trips that really turned into a hair-raiser, where we lost three of our four boats,” Woodward said calmly, in a tone that belies what a near-tragic journey it was. 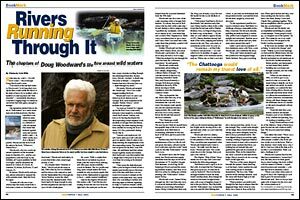 In a chapter titled “Moment of Truth,” Woodward set the scene in July 1980 when he, his two children and his future wife ventured to paddle the Tatshenshini River through the Yukon Territory to join the Alsek River near the Alaskan border. Their boats had to be large enough to carry all their supplies but also had to fold up to fit into a bush plane. Obviously, Woodward escaped the “death trap.” How? He would suggest reading the book. “As soon as I turned 18, I signed up for the Red Cross water safety instructor class taught by swimming coach Fred Lanoue. Lanoue was known for having developed the drownproofing course required of all students at Georgia Tech and Emory University, the same training having been credited for saving the lives of many U.S. Navy personnel during World War II. “Lanoue was tough as an ‘old salt,’ had a sideways crab walk and gave no quarter when it came to students meeting the requirements of his drownproofing course. The same held true in spaces for his Red Cross WSI class. All candidates had their ankles bound together, hands tied behind their backs and were then pushed into a single lane of the pool to do the survival float for as long as he deemed necessary. Neither Woodward nor his roommate, Fred Scharar, IM 61, drowned. Woodward was hooked. He would never stray far from a river’s edge. “What has endured for me through the years has been the wilderness experience,” he said quietly. 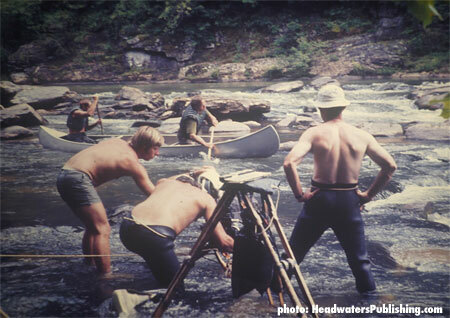 Woodward writes more passionately about falling in love “deeply, dangerously, without chance of escape.” He was introduced to this love by canoeing comrades Claude Terry and Payson Kennedy, a Georgia Tech data processing librarian in the early 1970s before moving to North Carolina to open the Nantahala Outdoor Center. “She was beautiful. But old. Much older than any of us. And she had her moods. Sometimes she was cold. Even cruel. Her temper could quickly rise and her emotions become a raging torrent. She would take the lives of two of my friends before the decade had passed,” the book continues. Readers may find Woodward’s reminiscences of his love life all well and good, but many will pick up his book when they spot the words “stunt work for the film Deliverance” on the back cover. He doesn’t delve into the banjo music, but Woodward does supply anecdotes from his days on the set in the summer of ’71. Another Georgia Tech alumnus, Lewis King, IM 50, helped get Woodward and his canoeing buddies Kennedy and Terry in on the river action by setting up a dinner meeting with Deliverance author James Dickey. Woodward wrote: “James Dickey changed my life. I met him only once. It was on an intimate fall evening in Atlanta at Lewis King’s Buckhead home. Dickey’s friend since their early 20s, King was, in many ways, the reallife model for the Lewis Medlock of Deliverance. “Deliverance had been a Book-of-the-Month Club selection early that year. Dickey had rewritten it into a film script that he had just sold to Warner Brothers. Now, in King’s living room, he held a copy in his hand… By the time we were called to appear in July of 1971, Warner Brothers already had most of the cabin, camping and archery scenes in the can. They were ready to concentrate on the river. So were we. “Bull Sluice is not a rapid to be trifled with. It is here that the Chattooga first gives a preview of what lies in wait on Section IV. The river hurries through boulders toward the steep South Carolina shore, then changes its mind as it becomes Georgia-bound and, with a roar of laughter, drops 12 feet to the pool below. Burt Reynolds and the Deliverance crew looked this one over and did their filming elsewhere. Ayear later, an unfortunate and inexperienced rafter was tumbled from his raft here, caught by a boot and drowned. “Terry and Carter strained to get into position for the diagonal ledge. Teeth clenched, Terry put everything into a last-second draw stroke. It was just enough. They would come straight off the ledge. But a current that strong hitting your canoe obliquely from the side is always potential trouble. The boat dipped sharply toward the right, creating a feeling of tightrope balance. 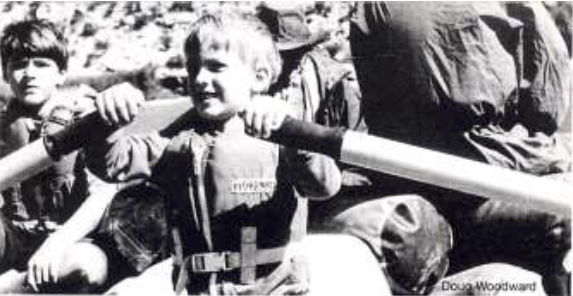 Carter started to react with a corrective paddle brace, realized that there was nothing but air beneath him and grabbed the gunwale in a moment of uncertainty. Then, in the instant that the canoe was half on and half off the ledge, (Terry) crossed over for a saving brace on the right side. “The bow of the canoe dropped beneath the surface. Water breaking over his head, Carter reached forward with a strong stroke to maintain momentum. The bow rose. Water poured off the midship flotation. And the canoe still floated high as it slid toward the final drop. In the book, he credited wife Trish as being “a catalyst for change” and wrote: “Within a year of our marriage we had sold the Lilburn home, left our jobs at Galloway School and Western Electric and rented an old farmhouse in the North Carolina mountains. Before another year had passed, we had found land, started building our own home and brought Autumn, our first child, into the world. “When we left Atlanta in 1982, we sold or gave away much of what we owned, the intent being to simplify our lives and reduce our needs. As much as possible, we wanted the freedom of being able to choose our own path and make those choices without the encumbrances of modern American consumerism. Along with these changes came the deliberate choice of a healthier diet and a household without television. Woodward is proud that his children have maintained a “normal fear” and, like him, never let their guard down when boating. His book is filled with the names of friends — experienced kayakers and canoeists — who lost their lives to untamed waters.